It is feared that some cities may have to be evacuated if winds blow inland from the the Fukushima Daiichi plant; the people working at the Fukushima Daiichi plant are risking their lives with their heroic efforts to limit the scale of the damage. The accident should be classified at Level 6 right under Chernobyl (Level 7). The authorities are withholding vital data about the internal exposure to radiations and no data has been released about the volumetric contamination of the air (Bq/m3). Soil contaminations will affect the food chain, fish and sea food will need to be tested in some areas. It cannot be excluded that the nuclear experts and the Tokyo Electric Power Company (TEPCO) are lying to the politicians about the real extent of the contamination. It is possible that some people in the affected areas who have been given iodine tablets but not yet told to use them should start administrating them if there are enough reasons to suspect an Iodine-131 contamination in the area, yet no relevant data asserting such levels have been disclosed. Especially concerned are the children, pregnant woman and breastfeeding women. People need to drink preferably bottle water and tinned milk. Fresh garden produce in the contaminated area (which can be hundreds of miles from the source) should not be consumed. Green vegetables such as spinach are very risky. The next rice and tea crops in the affected areas may also have to be sacrificed. This will have a tremendous impact on a country almost self-sufficient for food. The very scarce amounts of data about the levels of radioactive contaminations bears similarities to the situation in France, days after the Chernobyl accident, when the French were told that high atmospheric pressure blocked the contaminated clouds at the german border. At the time it was the french minister for Industry who was telling the minister for health what to do and what to say. 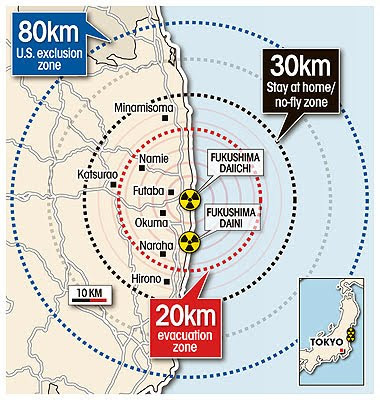 Politicians may have prefered not to alarm the population with orders to evacuate major cities while american and british citizens have been advised to leave an 80 km wide perimeter round the Fukushi Daiichi plant. This friday Yukio Edano, the Chief Cabinet Secretary reiterated his plea for american help. Japan lacks of equipments and of qualified personnel to deal with a radiological emergency of such a scale and the tools of the japanese army (SDF) are inadequate to deal with such high rates of radiation. If the spent rods ignites, in particular the rods containing Plutonium, extremely harmful radionuclides will be spread and severely contaminate the environement. Tokyo should implement immediately the evacuation of a larger perimeter - 30 or 40 km from the plant- to keep the situation under control before the circumstances degenerate and then plan for a full evacuation of a 60-80km radius. The peoplee who have been told to stay home need to know that homes aren't airtight and offer only a very temporary and limited protection. They should leave as soon as possible the 20-30 km security perimeter. 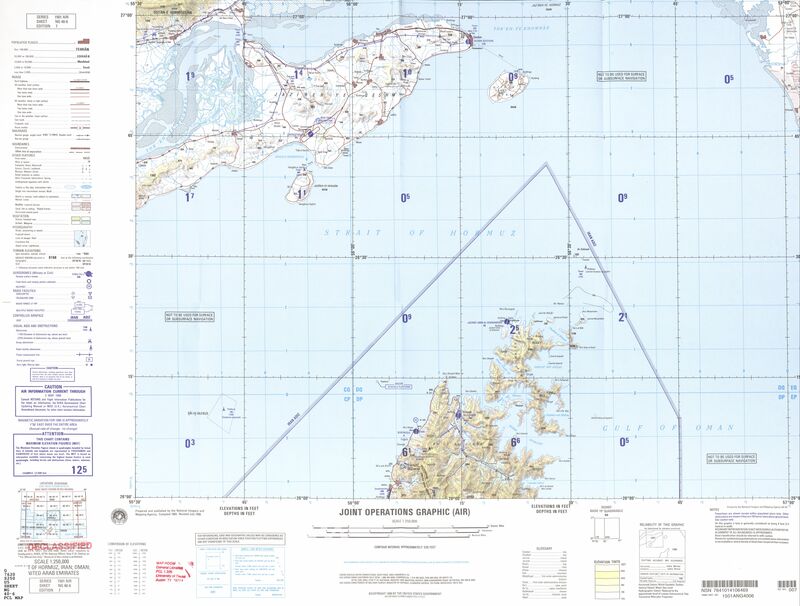 Some are advocating the evacuation of the island of Honshu, an extreme measure to face the likelihood of a full blown Level 7 catastrophe of an epic proportion. Nevertheless the governement ought to consider now - in the event of a disaster similar or worse in scale than Chernobyl- to organize the evacuation of the Kantō region conurbation (42 million inhabitants) and warn the population about the eventuality of such an exodus. Some western countries governement have already told their citizens to consider leaving Tokyo. People are hungry, thirsty, dirty, homeless, worried, wounded or ill, they have lost their homes, some have no clothes or are mourning their relatives, their gardens have been soiled and the governement isn't telling them the truth. Urgent civil defence is required immediately. Japan needs you premier Naoto Kan, the whole of yourself and of your government, your enemy is the nuclear industry, not the people it has betrayed. UXBRIDGE, Canada, Mar 17, 2011 (IPS) - A global nuclear disaster potentially worse than Chernobyl may be under way in Japan as hundreds of tonnes of highly radioactive spent nuclear fuel are open to the sky, and may be on fire and emitting radioactive particles into the atmosphere. Many countries have advised their citizens in Japan to leave the country. "This is uncharted territory. There is a 50-percent chance they could lose all six reactors and their storage pools," said Jan Beyea, a nuclear physicist with a New Jersey consulting firm called Consulting in the Public Interest. "I'm surprised the situation hasn't gotten worse faster... But without a breakthrough it's only a matter of days before spent fuels will melt down," said Ed Lyman, a physicist at the Union of Concerned Scientists and an expert on nuclear plant design. Japan's Fukushima Daiichi plant was damaged by a powerful earthquake and tsunami on Mar. 11. It has an estimated 1,700 tonnes of used or spent but still dangerous nuclear fuel in storage pools next to its six nuclear reactors, according to Kevin Kamps, a radioactive waste specialist at Beyond Nuclear, a U.S. anti-nuclear environmental group. The storage pools holding 30 to 35 years worth of spent fuel at reactors No. 3 and No. 4 have lost containment and most if not all of their coolant water. They may be on fire, venting radioactive particles into the atmosphere, Kamps told IPS. ..."If some of the spent fuel ignites and propagates throughout the rest of the fuel enormous areas of Japan could be contaminated by radioactive caesium 137 for 30 to 50 years," Beyea told IPS. "Caesium particles were blown hundreds of miles away during the intense fire at Chernobyl," Kamp said... Chernobyl held 180 tonnes of nuclear fuel. Fukushima Daiichi has 560 tonnes of nuclear fuel in its reactors along with 1,700 tonnes of spent fuel. "The nuclear industry in Japan and the U.S. knew the loss of coolant at spent-fuel storage pools would be a big problem but they simply said it couldn't happen," said Beyea, who is a co-author of a 2004 study on this very topic for the U.S. National Research Council of the National Academy of Sciences. Having worked in the industry, Beyea says it is run by overconfident engineers who minimise or ignore low- probability disasters even if they might have huge consequences. Nuclear reactors generate enormous amounts of heat and must be constantly cooled to keep the metal fuel casing from catching on fire and the fuel from melting. Since a nuclear reaction cannot be turned off, when spent fuel is removed from a reactor it still generates a great deal of heat and must be cooled underwater for five to 20 years. All reactors have storage pools with thick reinforced-concrete walls and are about 15 metres deep, containing around 1.5 million litres of water. This water soon warms and must be constantly replaced with cooler water. The loss of electricity and failures of backup generators at Fukushima Daiichi has meant little water has been pumped through the storage pools or into the reactors. Radiation levels inside the plant have now climbed so high that it is hazardous for workers to try to keep jury-rigged pumps pumping sea water. Normally only fresh water is used because sea water contains salts that eventually degrade the metals. Radiation levels are deadly when there is not enough water to cover a spent fuel pool, said Kamps. "It will be very difficult to get close enough to cool these pools down," he noted. "If the worst happens, and the six pools burn, it will be an unimaginable disaster. It could be worse than Chernobyl." The amount of caesium that could be released at Fuskushima is many thousands times that from the Hiroshima atomic bomb during World War Two, acknowledged Beyea. However, it was the bomb blast that killed over 120,000 people in the immediate months afterwards, he said. "Japan is facing enormous potential impacts on its economy, its society and on the health of its people," he said, adding that people will be worried sick about the potential impacts on their health for decades to come. "We recommended that the nuclear industry move spent fuel into dry storage containers after five years to reduce this risk but they said a loss-of-pool coolant event would never happen," said Beyea. Reactors No. 1, No. 2 and No. 3 nuclear cores have partially melted as they lost cooling functions after the quake. Reactor No. 2 containment vessel suffered damage and has been breached. The buildings housing the No. 1, No. 3 and No. 4 reactors and storage pools have been severely damaged by apparent hydrogen blasts. Water levels and temperatures at storage pools of the Nos. 1 to 4 units are unknown. Temperatures at storage pools at No. 5 and No. 6 are climbing. "In the worst case scenario, we have to assume that all of eastern Japan would be wrecked. The Tokyo Electric Power Co. (TEPCO) has almost no sense of urgency whatsoever." So said Prime Minister Naoto Kan at a meeting with special advisor to the Cabinet Kiyoshi Sasamori on the night of March 16. Handling of the crisis had been entrusted to the Nuclear and Industrial Safety Agency and plant operator TEPCO. However, with the reactors' immediate surroundings now being bombarded with high radiation levels and the "worst case scenario" just on the horizon, the prime minister has turned the dangerous mission over to the Self-Defense Forces (SDF). The SDF used Chinook heavy transport helicopters to dump water primarily on reactor No. 3, which may have a damaged reactor vessel. Reactors No. 3 and No. 4 are in the most dangerous condition. The helicopters swooped low over the reactor housings and released their load from a special bucket as they passed over reactor No. 3. Originally, the SDF considered hovering directly over the stricken reactors, but decided against the plan as it would have exposed the helicopter crews to radiation for too long. "This is a battle against radioactivity," a senior Defense Ministry official stated. "Unfortunately, with the pass-over method, the water dissipates and there isn't much of a cooling effect," he added with concern. At the beginning of the nuclear crisis -- set off by the March 11 Great East Japan Earthquake and ensuing tsunami -- the Defense Ministry and the SDF had said they did not have the know-how to deal with it. "We have protective clothing for after a nuclear attack, but it was not made to withstand the high radiation levels (emitted by a nuclear reactor)," one senior SDF officer stated. Another staff officer voicing deep concern over participation in the cooling operation said recently, "We can't guarantee the lives of our personnel. This is an extremely dangerous mission." The same staff officer added that "if it's nuclear power know-how that's needed, then there's no-one to turn to but the U.S. military," hoping U.S. forces would join the SDF in dealing with the overheating reactors. However, the U.S. military -- which has nine navy vessels in the area including the aircraft carrier USS Ronald Reagan assisting with quake relief and search and rescue operations -- is openly worried over radiation exposure. The U.S. military contributed two pumper trucks to TEPCO for use in the cooling effort, but has not joined the operation on the ground. Furthermore, the U.S. Navy is shifting the position of its fleet off the east coast of the disaster zone to avoid fallout carried by wind. The relatively high figure of Kita Ibaraki could be due to Tokai-II nuclear power station (south of the city). There was reportedly a dispute between the science ministry and the Cabinet over whether to publicize these figures. Now it’s open and the mobile team continues to work. Low concentrations of radioactive particles from Japan's disaster-hit nuclear power plant have been heading eastwards and are expected to reach North America in days, a Swedish official said on Thursday...(Reuters). Japan's nuclear power plant disaster is widening. 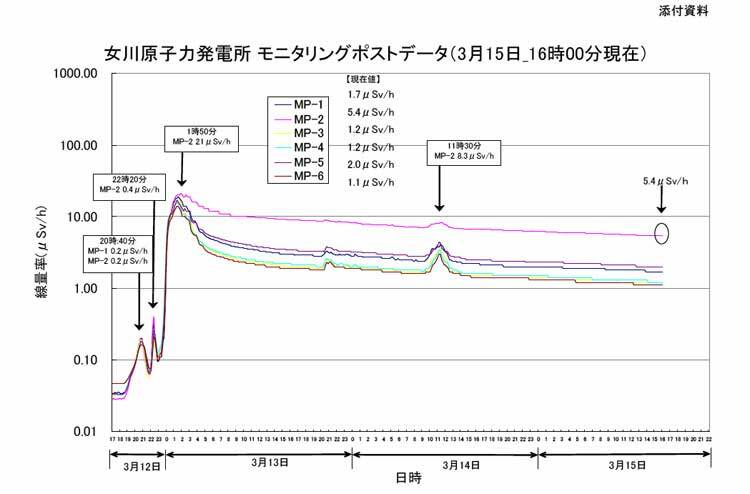 The water level in a pool for spent nuclear fuel at Tokyo Electric Power Co. (TEPCO)'s Fukushima No. 1 plant has dropped, creating the possibility of a meltdown. It goes without saying that people's health must be protected. At the same time we must ensure the well-being of people put at risk and ease people's anxiety. It is only natural that people living within a 20 kilometer radius of the nuclear power plant have been evacuated. People living between 20 and 30 kilometers from the plant have been ordered to stay indoors, but is this an appropriate response? Even though the risk may be low in this area at present, the government should consider ordering evacuations in the outer ring as well to ease people's anxiety and ensure that they can get back to life as normal. We also call on local government bodies around the nation to consider accepting people from these areas. Even in areas located far away from the plant, people have started evacuating. With only limited information available, it is only natural that they feel uneasy. But if people in areas that face an extremely low risk start evacuating, confusion will arise, and this could hinder efforts to aid the people who really need help. What is important is for people to have a "healthy" measure of fear. The government is unequivocally responsible for establishing guidelines. We want the Cabinet Office's Nuclear Safety Commission and other related bodies to actively carry out their responsibilities. At the same time it is also probably necessary for academic committees and other expert organizations to analyze the risks, support the government and provide information to residents. Still no data about the air contamination when the radioactivity blatantly is not negligible. Internal contamination by inhalation: the air is filled with radioactive elements (rise of the dose rate). Simple dust masks do not provide adequate breathing protection, They are only efficient if regularly changed against radioactive dust and warm particles. 2/ Radioactive emissions arising from the spent fuel pool containing the irradiated combustibles from reactor #4 are released straight into the athmosphere (lack of containment). The increase of the dose level proves the transit of contaminated air masses. Even more worrying is the increase of the dose rate which can - and probably does - correspond with levels of air contamination that are not negligible contrary to the official declarations, and that require safety measures. The people have the right to this information. People are living for days under the threat of a nuclear catastrophe without knowing practically nothing about the levels of radioactivity to which they are exposed. The CRIIRAD denounces the underevaluation of the severity of the accidents that occured at the nuclear plant of Fukushima Daiichi and the crucial lack of information as much about the amounts of radioactive rejections since friday as of the levels of air contamination. Without these data it is impossible to estimate the levels of radiological risks. The few figures available preclude in any case qualifying the rejections as "minor" (level 4 on the INES scale) or "low". 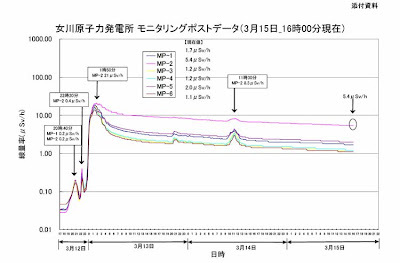 Saturday 12 march, the japanese authorities have ranked at level 4 on the INES scale the accident of reactor #1 at the Fukushima Daiichi plant while the accident was still in progress and while several other reactors faced a state of radiological emergency. The workforce of the plant continues exposing itself to very high levels of radiations to avoid a cooling system failure of reactors #1, #2 and #3 becoming a nuclear catastrophe. Extreme steps have been taken to cool the reactors at any price such as the injection of sea water despite the inherent risks. [By wednesday this job was being undertaken by air with helicopters]. The AIEA has registered the level 4 ranking without any correction. To this day as we know no nuclear safety authority has put it into question. The International Nuclear and radiological Event Scale (INES) classifies nuclear accidents according to their consequences on site or oustside of the nuclear site. Concerning the consequences inside the site, level 4 corresponds to an important damage to the core of the reactor or the radiological barriers; when the damage is severe the classification reaches level 5, 6 or 7 according to the importance of the radioactive rejections outside of the plant which obviously conditions the level of the exposure risk of the population. Level 7 to a major rejection with significant effect on health and the environment. To support the classification to level 4 (important damage but not severe to the core of the reactors and minor rejections of radioactivity) neither the japanese authorities, nor the IAEA have released figures; neither on the scale of the rejections, nor their isotopic composition (nature and ratio of the appearing radionuclides that work out the radiotoxicity of the radioactive emissions) nor on the levels of the air contamination at various distances from the plant. According to the CRIIRAD the rejections are neithe "minor" nor "low". If the authorities maintain that the rejections are minor or low they have to justify this based on objective and verifiable figures. The CRIIRAD asks for the estimates on the total amount of the rejection of radioactivity for every accidented reactors, and for the isotopic composition of the rejections, to be made public. The CRIIRAD calls also for the publlication of the levels of the air contamination: cartography of the volumic activity (Bq/m3) for the key radionuclides functions of distance and time. It is important to work out the intensity and the movements of the contaminated air masses. Available data suggest indeed that radioactive rejections from Fukushima Daiichi have reached the Onagawa plant located 110-120 km to the North. ...If the informations on the size of the activities, the concentrations and the doses are not released during the crisis phase, we fear it will be very difficult to work out afterwards the real nature of the levels of exposure. Japan is threathened by a nuclear catastrophe, very little is known about the level of radioactivity to which people are exposed ...at the Fukushima Daiichi plant worker's health is endangered..
12 march: dose levels next to the plant reached 1.5 milliSievert per hour (1.5 mSv/h), 10,000 times the normal level...in 40 minutes one absorbs the maximum level acceptable in a year for members of the public: 1 mSv ( 0.11 µSv/h) .. The Internation Agency (for the promotion of) Atomic Energy (AIEA) in a press release underlines that the value of 400 mSv/h was...a « local value at a single location and at a certain point in time »..., without documenting their evidence...100 mSv/h and 30 mSv/h remain highly elevated values...no proof that 400 mSv/h was the the highest value in loco, just three results have been published ...they need valuation considering the surface of the area. ...doses accumulate hour after hour, ... we are days since the start of the emergency situation. Radioactive spill and air contamination: no data!The figures made public only consider the absorbed dose through external exposure to radiations resulting from the disintegration of radioactive atoms at a distance from the organism, a bit like UV sun exposure. Internal doses of exposure, absorbed by internal contamination when gas, halogen or radioactive aerosols are inhaled, have to be added. This is true evrywhere in Japan where high dose rates have occured [A slow rate of an identical exposure dose has a lesser impact than a quick one]. Therefore it is indispensable to know the levels of the air contamination: the volumic activity in becquerel per volume [ Bq/m3 ] for each radionuclide present or at least the most significants sanitarywise. The intensity of the soil depositions, is the second key parameter that works out the level of of the contamination of the food chain and the risks for population. To this day the quantity of radioactivity leaked in the environment is still a mistery. Official communiqués mention willingly controlled discharges relating to depressurization operations dictated by necessity otping for the lesser of two evils, none of which can control the radioactive emission . Moreover the emissions associated with fires, broken pipes, or other incidents that are totally out of control need to be added. What are the level of exposure 100 or 200 km from the Fukushima plant? The dose rates above put in µSv/h (microSieverts hour) or µGy/h (microgray hour) reports the external level of exposure. The results need to be compared to the natural background level ( background noise) which is lower than 0.1 µSv/h ( around 0.03 to 0.06 µSv/h ) in the zones we examined. Onagawa plant sits some 120 km NNE from Fukushima Daiichi...6 detectors are installed around the site. 12th march: ... 7 pm local time ( 11.oo am CET ) the dose levels seem to rise. ... midnight levels rise a hundredfold, overshoots 10 µSv/h ...peak at 21 µSv/h on the 13th near 2 am local time ( 500 times the normal level) then levels diminish significantly... ( up again at 8,3 µSv/h around 10 am )...but slowly. This tuesday 15th at 4 pm local time ( 8am CET) the results read between 1,1 and 5,4 µSv/h. These later values, at nearly 100 times the normal level, assert the persistant presence of contaminated air masses and/or rays emitted by ground depositions of radioactive particles. The weather conditions should become favourable within hours probably for 24 hours with winds blowing from the NW pushing contaminated air masses emigrating from Fukushima Daiichi towards the SE. Tokyo stands 230 km SW of the Fukushima Daiichi. 16 times the background noise. Levels decreased to 0.075 µSv/h afterwards. These results are related to incoming flows of contaminated airmasses. In the nuclear site of TOKAI, 115 km SSW of Fukushima Daiichi, the increase has been slightly more important this morning reaching 1.2 µSv/h. The preceding evening these levels were at 0.03 and 0.005 µSv/h. This was forcastable given the wind changed direction. The values disclosed are generally labelled as negligible by the authorities in charge despite a lack of precision about the nature and the concentration of the radioactive elements, generating the elevation of the dose rate. To evaluate the level of air contamination and advice judiciously the affected people about the control of the contamination, one needs to know the level of the air contamination. Us Navy detects levels of 0.5 millirems of radiation at Atsugi and Yokosuka (near Yokohama). Do not believe assurances from radiation protection advisors working for any government. They are based on an obsolete model. This is a potential Chernobyl level event and must be seen as extremely serious. Get away as soon as possible to a clean area. If it is not possible to evacuate, stay indoors and keep all the doors and windows closed for as long as the radiation levels are higher than normal. Try to keep the house sealed as far as possible. Telco owns of the Fukushima Daiichi plant. On August 29, 2002, the government of Japan revealed that TEPCO was guilty of false reporting in routine governmental inspection of its nuclear plants and systematic concealment of plant safety incidents. All seventeen of its boiling-water reactors were shut down for inspection as a result. TEPCO's chairman Hiroshi Araki, President Nobuya Minami, Vice-President Toshiaki Enomoto, as well as the advisers Shō Nasu and Gaishi Hiraiwa stepped-down by September 30, 2002. The utility "eventually admitted to two hundred occasions over more than two decades between 1977 and 2002, involving the submission of false technical data to authorities". Upon taking over leadership responsibilities, TEPCO's new president issued a public commitment that the company would take all the countermeasures necessary to prevent fraud and restore the nation's confidence. By the end of 2005, generation at suspended plants had been restarted, with government approval. In 2007, however, the company announced to the public that an internal investigation had revealed a large number of unreported incidents. These included an unexpected unit criticality in 1978 and additional systematic false reporting, which had not been uncovered during the 2002 inquiry. Along with scandals at other Japanese electric companies, this failure to ensure corporate compliance resulted in strong public criticism of Japan's electric power industry and the nation's nuclear energy policy. Again, the company made no effort to identify those responsible. In France the decommissionning costs of the nuclear power plants are estimated at 60 billion euros (source), in the United Kingdom at £73 million (source). Measuring radioactivity can be confusing: various units coexist for different purposes. Different units allow measurement of the exposure intensity, the activity of the source, the absorbed dose and the effective biological dose. The main units in use are rem, gray, rad, sievert and becquerel. This summary intends to ease understanding the values. The natural background radiation, like radon gaz and high altitude exposure with air travel shouldn't be added to the calculus in most instances or has to be stricly differentiated. A war is ongoing between scientists concerning the doses and the model of the International Commission on Radiological Protection (ICRP). One side pulls the concept of "there is no safe dose" which could put an end to nuclear electricity production as well as some medical radiations and nuclear weapons (see ECRR and ECRR Risk Model and radiation from Fukushima) because if there is no safe dose, no one can be exposed and thus cannot maintain the equipments. While the big biz side hums the tune "despite Chernobyl and Fukushima, it's safe". The units used to measure ionizing radiation are rather complex. The ionizing effects of radiation are measured by units of exposure. The roentgen (symbol R) is the amount of radiation required to liberate positive and negative charges of one electrostatic unit of charge (esu) in 1 cm³ of dry air at standard temperature and pressure (STP). It is not itself an SI unit and continued use is "strongly discouraged" by the National Institute of Standards and Technology. Its value is expressed in terms of the SI units electric charge divided by unit mass: coulomb per kilogram (C/kg). Old Unit: the curie (symbol Ci) is roughly the activity of 1 gram of the radium isotope 226Ra or 15g of 239Pu . New SI unit: the becquerel (symbol Bq) is defined as the activity of a quantity of radioactive material in which one nucleus decays per second . New SI unit: the Gray (Gy) measures the deposited energy of radiation. A whole-body exposure to 5 or more Gy of high-energy radiation at one time usually leads to death within 14 days. Hair loss may be permanent with a single quick dose of 10 Gy. A slow rate of an identical exposure dose has a lesser impact than a quick one. The international limit for radiation exposure for member of the public is 1 mSv per year, for nuclear workers it is 20 mSv per year, averaged over five years, with a limit of 50 mSv in any one year, however for workers performing emergency services EPA guidance on dose limits is 100 mSv/y when "protecting valuable property" and 250 mSv/y when the activity is "life saving or protection of large populations." The limit to certain parts of the body can reach 500 Sv/y. The ICRP sets the admissible risk for the public at 1mSv / year which corresponds to 5 radio-induced cancers per 100,000 population. European Committee on Radiation Risk recommends that the total maximum permissible annual dose limit to members of the public involving releases of anthropogenic isotopes or natural isotopes delivered in a novel fashion should be kept below 0.1mSv (nuclear workers should be 2mSv) as calculated using the ECRR model. It is complicated to convert Bq in Sv, (see links below and ECRR ). To eat 80,000 Bq of wildboar meat (= 2 kg in certain occurences in Bavaria [TORCH]), corresponds to 1 mSv. Telco in Japan has hiked the radiation exposure limit for its workers at the plant from 100 millisieverts per shift to 150 millisieverts. Medical Scanner: lowest estimates 0.05 mSv ( local), 25 mSv (head), 150 mSv (whole body) according to Wikipedia. The Wall Street Journal says a computer tomography scans, which emit roughly 1,500 microsieverts of radiation, or a full set of dental X-rays, about 400 microsieverts. The CRIIRAD assesses that in France, 5 to 10,000 people die each year of medical irradiations. (Trait d'union , Criirad, n°6, decembre 1997). ..... There are important concerns with respect to the heterogeneity of dose delivery within tissues and cells from short-range charged particle emissions, the extent to which current models adequately represent such interactions with biological targets, and the specification of target cells at risk. Indeed, the actual concepts of absorbed dose become questionable, and sometimes meaningless, when considering interactions at the cellular and molecular levels. (CERRIE Majority Report Chapter 2.1 paragraph 11). Russia, Belarus and Ukraine received the highest amounts of fallout while former Yugoslavia, Finland, Sweden, Bulgaria, Norway, Rumania, Germany, Austria and Poland each received more than one petabecquerel (10E15 Bq or one million billion becquerels) of caesium-137, a very large amount of radioactivity. In the United Kingdom restrictions remain in place on 374 farms covering 750 km2 and 200,000 sheep. In parts of Sweden and Finland, as regards stock animals, including reindeer, in natural and near-natural environments. In certain regions of Germany, Austria, Italy, Sweden, Finland, Lithuania and Poland wild game (including boar and deer), wild mushrooms, berries and carnivore fish from lakes reach levels of several thousand Bq per kg of caesium-137. In Germany, caesium-137 levels in wild boar muscle reached 40,000 Bq/kg. The average level is 6,800 Bq/kg, more than ten times the EU limit of 600 Bq/kg. baby food 20 Bq/kg id. baby food 500 Bq/kg id. baby food 125 Bq/kg id. All of you know that there has been an incredible misfortune -- the accident at the Chernobyl nuclear plant. 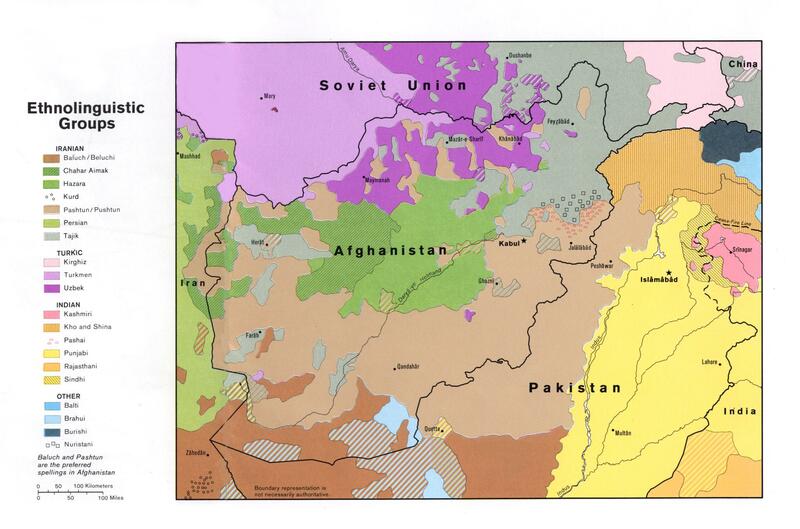 It has painfully affected the Soviet people, and shocked the international community. For the first time we confront the real force of nuclear energy, out of control. Western media repeated Gorbachev's interpretation of this meltdown as an 'accident,' and obscured the 'qui bono' question with verbiage about the environmental impact of this catastrophe. At that time Gorbachev still did not know that this event will be a significant factor in the fall of his government that preceded the disintegration of the Soviet Union. Years later, Russian people began to grasp the impact of the disintegration of the Soviet Union and realized who likely benefited from it. Also, with the passage of time, the naive belief of Russian people in the benevolence of the United States, nurtured for decades by the Cold War propaganda, had to face the reality of the Bush I, and later Bush II foreign policies, abnegating on assurances given and treaties concluded with the Gorbachev administration prior to withdrawal of Soviet armies from the Eastern Europe. About that time, articles about the possibility that Chernobyl 'accident' was staged by foreign secret service agencies started to emerge in the Russian press (Sovietskaya Rossiya, June 16, 1992, April 25, 1996, Za Ruskoe Delo 6, 38, 1996, Trud, April 26, 1995) and elsewhere, recently reappearing on Pravda.ru (February, 2004) . These allegations were based on observations that, under scrutiny, "It is unlikely that the sequence of events that led to the meltdown of the Chernobyl nuclear reactor could have been accidental" and that "Technicians which disconnected the safety mechanisms of the Chernobyl Nuclear Plant, Alexandrov, Feinberg, Sagdeev, Zaslavsky, are now living in comfort abroad." In the late 1960's Western intelligence agencies started to sabotage the Soviet Union's economy through covert transfers of technology that contained hidden malfunctions. On June 3, 1973, Russia's supersonic rival to Concorde, the TU-144, crashed during the air show at the Le Bourget airport. Pilot of the Tupolev's supersonic plane Mikhail Kozlov and his five crew died in the crash. The wreckage of the plane which looked so like the British-French machine that it was dubbed Concordski hit the village of Goussainville, killing eight persons. Unknown to the public at that time, the French intelligence agency sent a Mirage III jet on a collision course with the TU-144. To avoid collision, the pilot of the Soviet aircraft took an evasive action during which his airplane with the built-in construction flaw, broke apart in midair. The press, as in the numerous other staged "accidents," blamed the crash on the pilot error. In 1982, US president Ronald Reagan officially approved the covert transfers of technologies that contained hidden malfunctions, including computer software, to the Soviet Union (Washington Post, February 26, 2004). This program, among other "accidents," triggered a huge explosion in a Siberian gas pipeline. Thomas Reed, former member of the National Security Council, Director of the National Reconnaissance Office, Deputy Secretary of Defense, and a Special Assistant to President Reagan for National Security Policy described this episode in his (2004, Presidio Press) book At the Abyss: An Insider's History of the Cold War. His narrative is complemented by the Gus Weiss (1996) article The farewell dossier, published in now declassified CIA journal Studies in Intelligence, 39, 5. Also, two years prior to the Chernobyl disaster, a US computer software consulting agency won the contract on the upgrade of Chernobyl’s nuclear plant software. 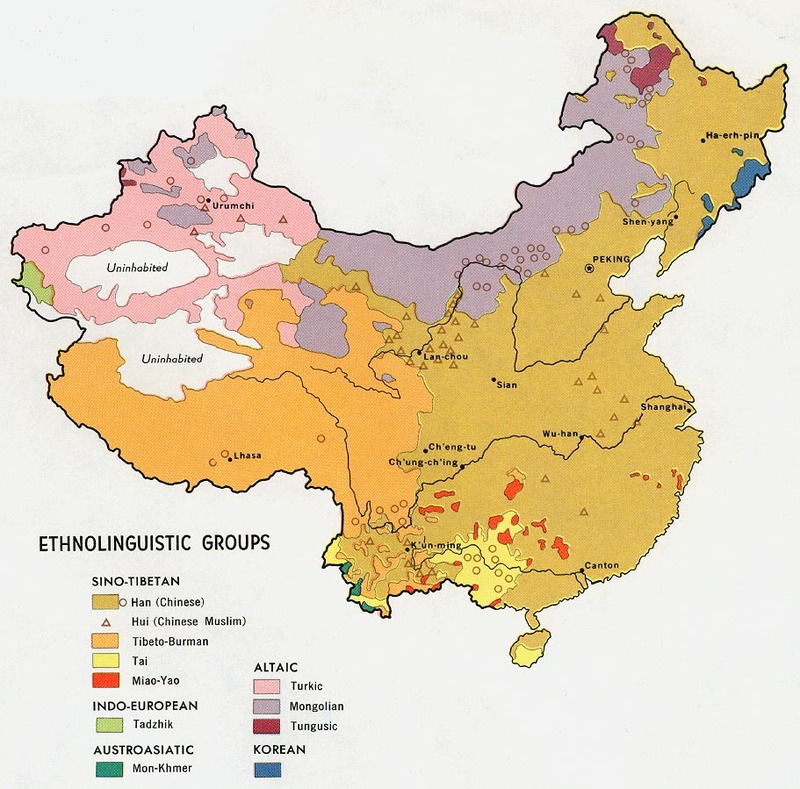 We might as well to add in passim that in China, before 1911, anyone who passed the Imperial Examinations could become a Mandarin with a single exception of actors, as the nature of their profession is to pretend and to deceive. On July 25, 1986 New York Times published Serge Schmemann's Chernobyl Fallout: Apocalyptic Tale where he claims that a 'prominent Russian writer' said that Chernobyl means wormwood. This led some to believe that the Chernobyl's nuclear plant meltdown was predicted in the Biblical Revelation 8:10-11, abstracted as 'the third angel sounded and there fell into water a great meteorite called Wormwood. Many people died drinking this bitter-tasting poisoned water.' 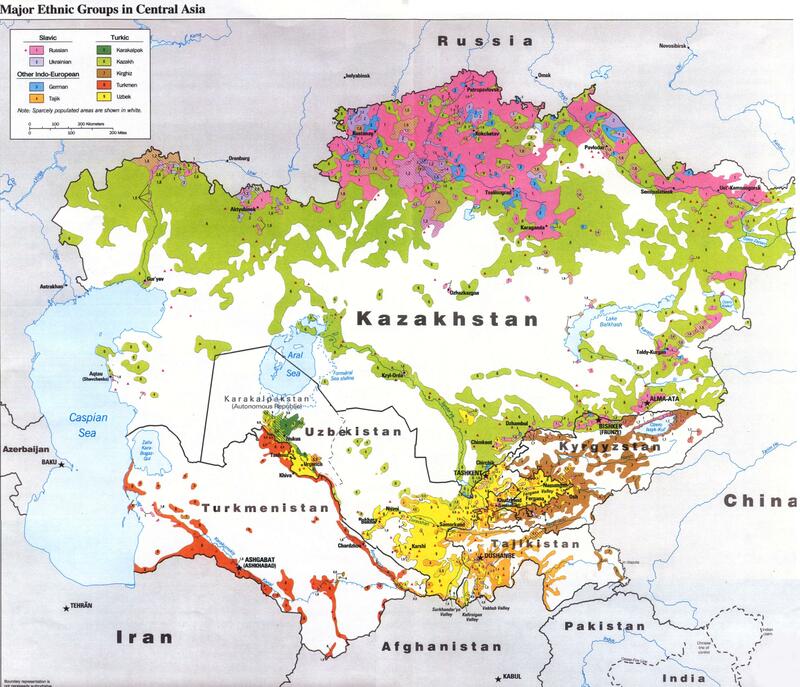 Chernobyl (chornyi, black + [byl]inka a blade of grass, a herb) was likely named after some 'black herb' growing at that locale. While a 'black herb' could be translated into English as wormwood, the linguistic controversy that developed around this issue markedly added to the plethora of disinformation surrounding the nuclear meltdown of the Chernobyl power plant, diverting attention from the relevant issues into the trivia. Serge Schmemann is son of Alexander Schmemann, a collaborator of 30 years of Radio Free Europe/Radio Liberty (RFE/RL), an organization which receives its funds from the US Congress passed through CIA. After the fall of the Soviet Union, this organization started to broadcast to Kosovo, Iraq, and Afghanistan, prior to military invasions of these countries. 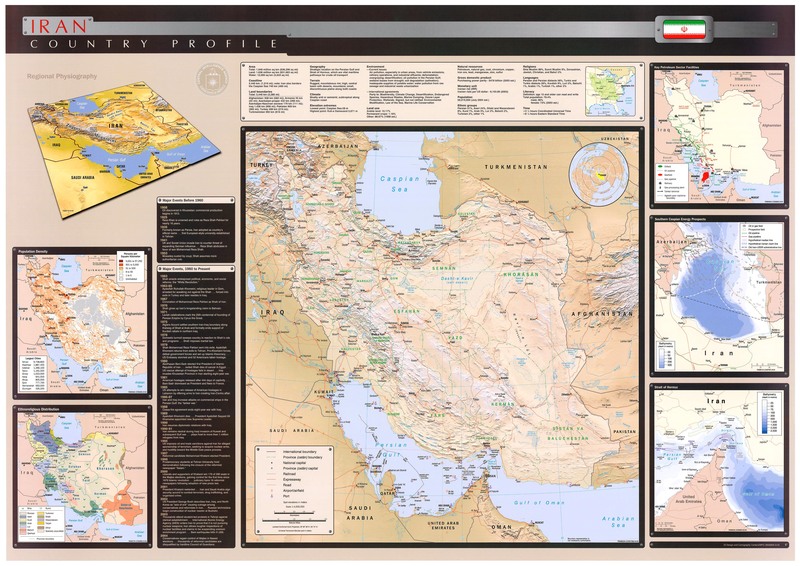 Recently, the Radio Free Europe/Radio Liberty/ started its Persian service beamed at Iran. Surrounded by concrete barricades and circled by armored vehicles, it is now located in Prague, Bohemia (Czech Republic). While the second allegation might have been a happenstance, perusing the sequence of events that led to the Chernobyl nuclear explosion leaves one with a doubt that these events could have been unintentional or accidental. 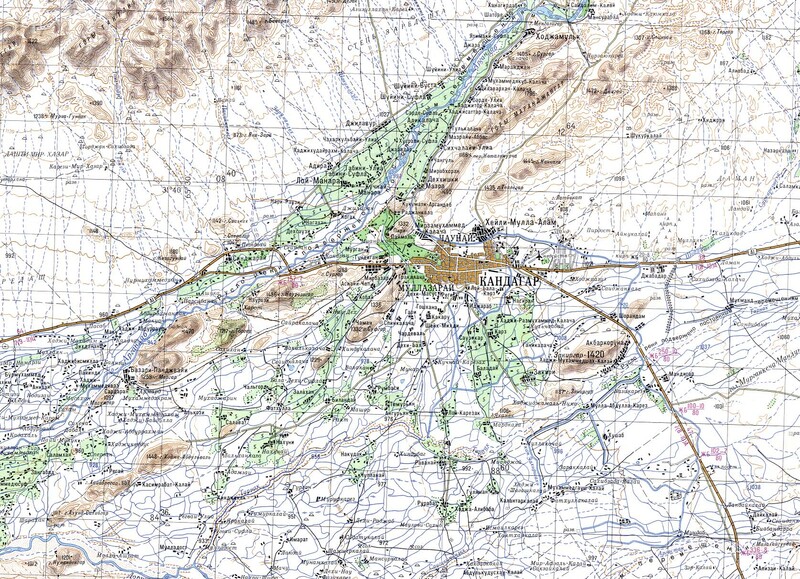 Chernobyl and the Nevada test site. The overwhelming attention the media paid to Chernobyl nuclear incident can be contrasted with the virtual media blackout on the nuclear contamination of the American Southwest from more than four decades of the above-the-ground testing of the nuclear bombs on the Nevada Test Site. The fallout clouds from these over 400 nuclear explosions floated across the American Southwest. Comparisons of radiation level released at Chernobyl with radiation level of the Hiroshima bomb vary substantially, a reasonable estimate is that the Chernobyl radioactive release was equivalent to ten Hiroshima atomic bombs. [200 to 400 times see below]. May 1959) between WHO and the IAEA, prohibits the international health authority from undertakingactivities prejudicial to the interests of the IAEA. WHO thereby loses its freedom and its authority to control and coordinate matters relating to radiation and health. The terms of this Agreement run counter to the constitutional obligations of WHO. programme. According to the chronological memorandum issued by Dr Nakajima (Director-General of WHO at the time) during the conference that he convened in Geneva, 20 – 23 November 1995, the international project was undertaken and completed by the IAEA in May 1991. Hence, it was the IAEA, rather than WHO, that provided the information and other aspects of the assistance requested by the Ministry of Health of the USSR. ...the scientific case against the agreement is building up, most recently when the European Committee on Radiation Risk (ECRR) called for its abandonment at its conference earlier this month in Lesvos, Greece. According to data published by the Atomic Weapons Establishment,(1) levels of uranium considerably higher than normal were detected in the air in Berkshire (UK) in March and April 2003 and were reported to the Environment Agency because they exceeded the 1 000 nBq/m3 threshold value for notification. According to Professor Chris Busby, these levels can be linked to the use in Iraq during the same period(2) of weapons containing uranium. It had already been shown, in an EU‑wide report in 1999 by the Regional Environmental Centre for Central and Eastern Europe, that wind-borne particles of uranium could travel hundreds of kilometres. Can the Commission forward to Parliament all the data it possesses on uranium levels in the air over the entire territory of the European Union in the years 1998‑2005, and ask all the agencies and bodies responsible to supply corresponding data in their possession for the same period? Did the Atomic Weapons Establishment, the Environment Agency, the Defence Procurement Agency or any other competent body alert it to the fact that warning levels had been exceeded in the UK and, if so, how did the Commission and the UK authorities act on the information? Is the Commission minded to authorise a study on possible contamination of EU territory, and specifically airspace, resulting from the use of weapons containing uranium? (2) ‘Did the use of uranium weapons in Gulf War 2 result in contamination of Europe? Evidence from the measurements of the Atomic Weapons Establishment, Aldermaston, Berkshire, UK’, C. Busby and S. Morgan, January 2006, European Biology and Bioelectromagnetics. The Commission notes that the data reported in the cited publication by the United Kingdom (UK) Atomic Weapons Establishment are referring to ‘total uranium’; they do not distinguish between the various isotopes. Thus, a distinction between depleted uranium (as used in the Iraq war) and natural uranium is not possible. Furthermore, the Commission is not aware of studies that would prove, with scientific evidence, significant dispersion of battlefield depleted uranium over several thousand kilometres (as would have to be the case for a transport from Iraq to the UK). Data on uranium concentrations in air are available as part of the information submitted by Member States under Article 36 of the Euratom Treaty. However, such data are not relevant to the issue raised by the Honourable Member, since they either relate to uranium mining or milling sites or are below detection limits. The Commission has not been notified by the UK authorities; indeed, exceeding a notification threshold established by a national authority does not constitute an alert in the sense of the Council decision of 14 December 1987 on Community arrangements for the early exchange of information in the event of a radiological emergency(1) — the ECURIE Decision. The Commission is of the opinion that continuous monitoring of radioactivity in air as performed in the Union Member States is generally sufficient to detect any contamination significant from a radiological point of view. (1)87/600/Euratom: Council decision of 14 December 1987 on Community arrangements for the early exchange of information in the event of a radiological emergency, OJ L 371, 30.12.1987. 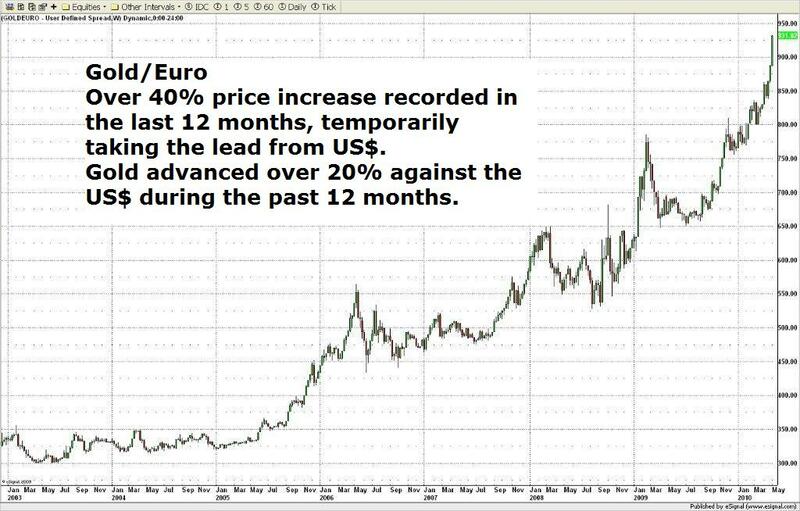 Global Jetstream WindAtlas of Caesium Deposition on Europe after the Chernobyl Accident online. BibliographyContamination radioactives: Atlas France et Europe, CRIIRAD and André Paris, Editions Yves Michel, 2002, ISBN 2913492150.